Scott works primarily on consumer financial services litigation. He has particular experience in defending putative class actions involving claims under state and federal consumer protection laws, including the Telephone Consumer Protection Act (TCPA), Truth in Lending Act (TILA), Fair Debt Collection Practices Act (FDCPA), Fair Credit Reporting Act (FCRA), Real Estate Settlement Procedures Act (RESPA) and Illinois Consumer Fraud and Deceptive Business Practices Act. Scott also represents clients in a wide range of general litigation matters, including cases involving contract claims and alleged business torts. He has defended clients in state and federal courts, as well as in administrative proceedings. 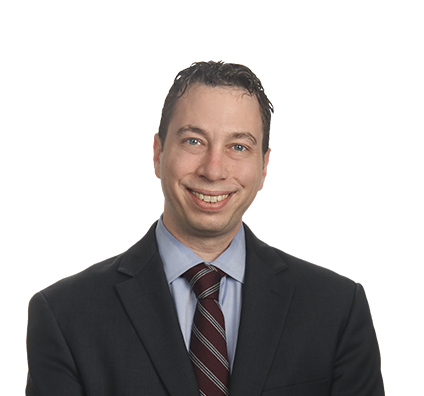 In addition to his litigation practice, Scott regularly counsels clients on compliance issues, including creating loan documents that satisfy federal and state consumer lending laws. Previously, Scott served as a judicial extern for the Honorable William J. Bauer of the U.S. Court of Appeals for the Seventh Circuit, and as a research staff attorney for the Appellate Court of Illinois, Second District. During that time, he researched numerous issues, wrote memoranda analyzing those issues and drafted proposed dispositions. Successfully represented a consumer installment lender in a putative class action involving alleged violations of the TCPA’s limits on the use of automatic telephone dialing systems. Defended a mortgage loan servicer in a putative class action involving alleged improper collection practices under federal and state law. Successfully represented a state bank in a lawsuit involving alleged violations of a state consumer fraud act in connection with the making of a residential mortgage loan. Successfully represented a state bank in a lawsuit involving an alleged breach of contract in connection with the making of a commercial mortgage loan. Successfully defended a national bank in a putative class action involving alleged violations of the TCPA’s limits on the use of automatic telephone dialing systems. Successfully represented a mortgage lender against foreclosure counterclaims alleging violation of RESPA’s requirements for qualified written requests. Successfully represented a consumer installment lender in a bankruptcy adversary proceeding involving alleged disclosure violations under TILA. Successfully defended a mortgage lender in a putative class action involving alleged violations of the FCRA’s limitations on accessing consumer credit reports. Successfully represented an automobile insurer in a putative class action involving alleged violations of state laws regarding notice to insureds. Successfully represented a retailer in a putative class action involving alleged disclosure violations under TILA.